Audemars Piguet has had a clear focus on women – more precisely on “strong independent and self assured women” as they declare it. The beauty of diversity inpired them to present a new video last autumn, introducing women with “independent spirits”. Erika Linder actress, Soo Joo Park model and designer and Tasya Van Ree photographer all wear Millenary models, which was given the spotlight last year. 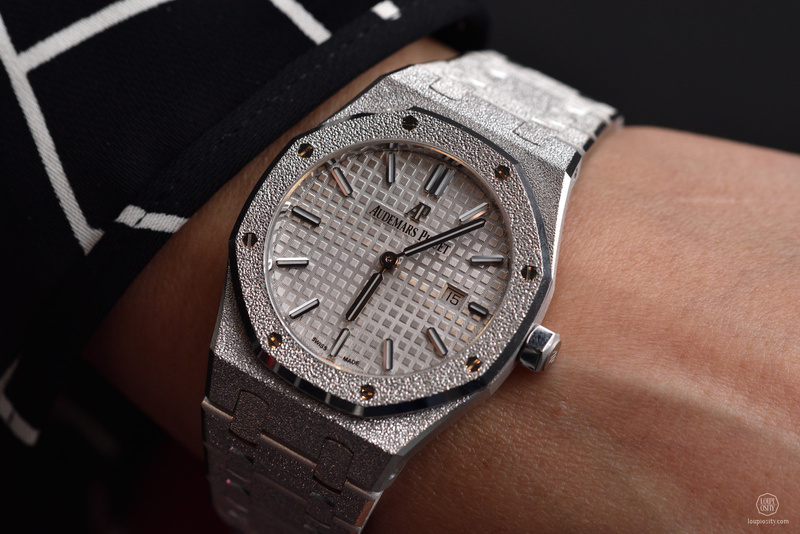 At the SIHH 2017, AP dedicated a new version of the Royal Oak to women. The once very masculine Royal Oak is today a widely worn unisex cult timepiece. 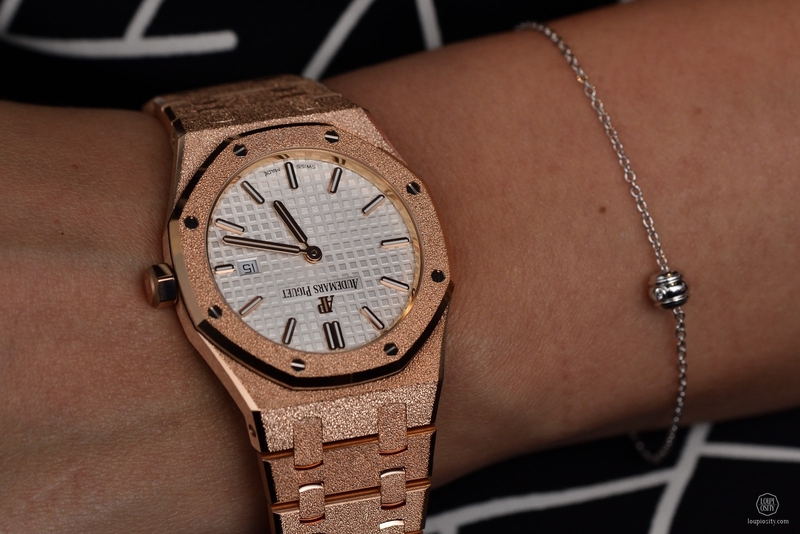 The Royal Oak for women celebrated the 40th anniversary in 2016. On this occasion, Audemars Piguet presented the Royal Oak Frosted Gold at the end of the year, in collaboration with Florentine jewellery designer, Carolina Bucci. The pieces were showcased also at the SIHH 2017. Carolina Bucci, born into a goldsmith and artisan family in 1976 in Florence, is an Italian jewellery designer. She studied Fine Arts and Jewellery Design at the Fashion Institute of Technology in New York. Her signatures are her jewellery lucky bracelets (thin gold and silver chains hand braided with silk), a centuries old Florentine loom interpreted to metals or the ‘Florentine’ finish. The special surface of the latter technique is achieved by beating gold with a diamond-tipped tool which leaves permanent faceted dents in the surface. It gives each piece an eye-catching, contemporary sparkle. Carolina usually applies it on smaller or simpler pieces, like this cuff for example. On such a characteristic watch like the Royal Oak, it has to be done very carefully, without altering the typical lines of the case and the bracelet. 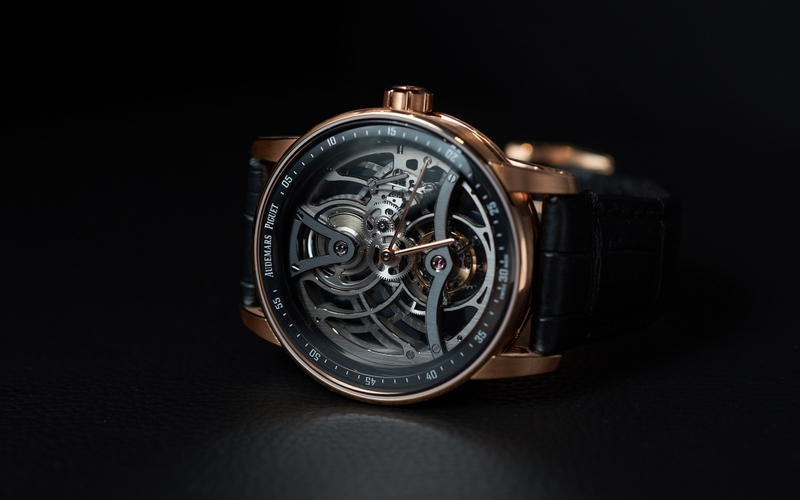 In order to find the balance between the technique and the usual finishing of the watch, a number of consultation and practical trials were involved in the creation. 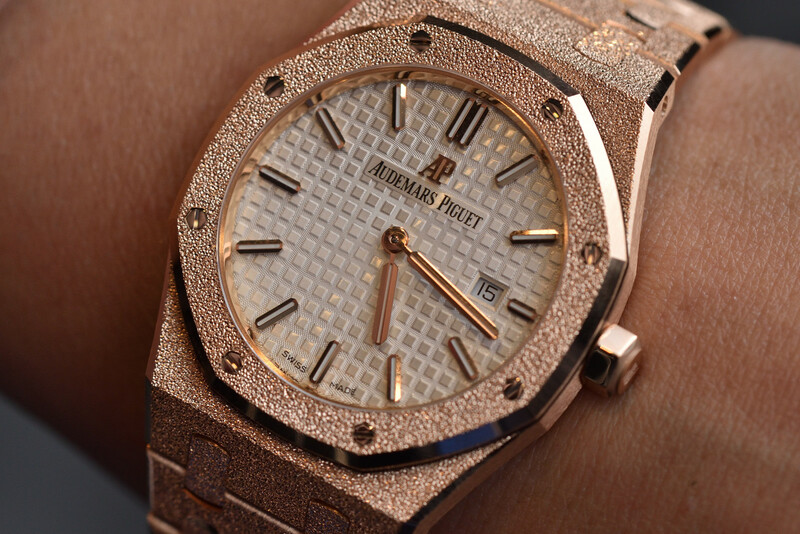 See more about the making of a Royal Oak Frosted Gold here. As AP sums it up “nothing is added, nothing is removed, but the watch is transformed”. 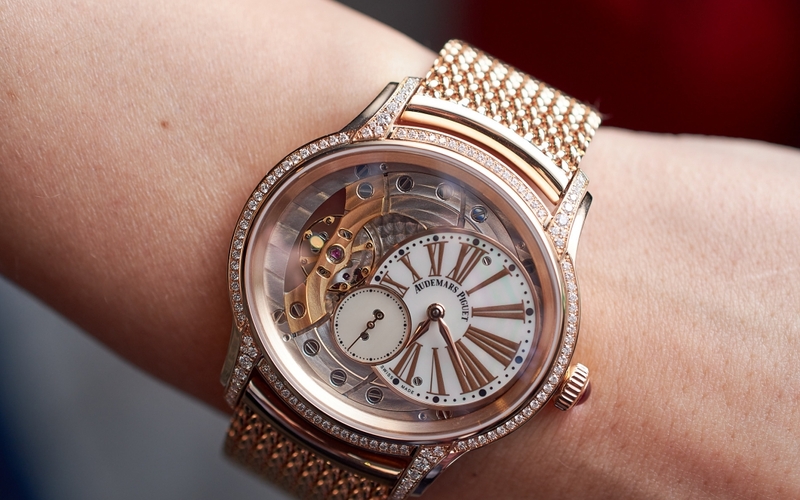 The timepieces are available in white and pink gold, in two sizes 33 and 37mm. The bigger size houses the self-winding Calibre 3120, while the smaller has a quartz movement. 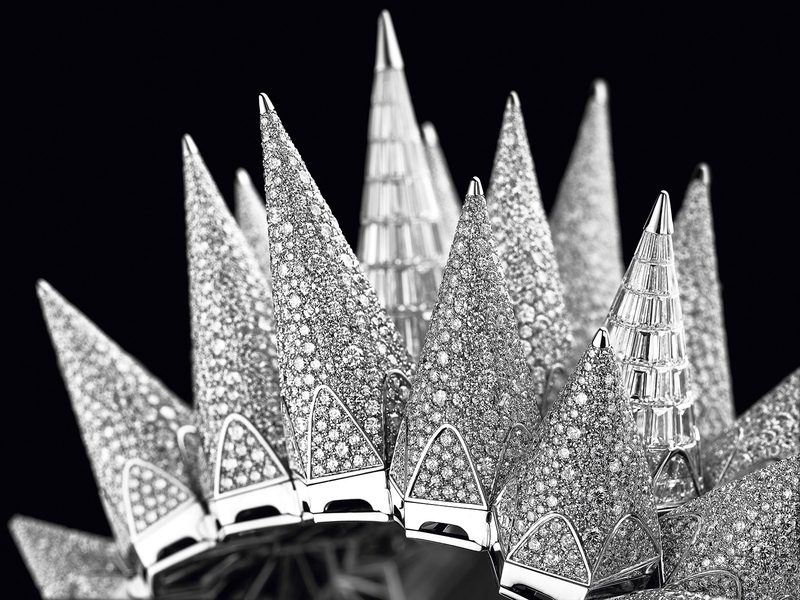 In 2015 Audemars Piguet started a new chapter in the life of the Manufacture and launched a unique Haute Joaillerie cuff timepiece, the Diamond Punk. In the same year the disruptive work of art received the “Jewellery Watch Prize” at the Grand Prix d’Horlogerie de Genève and great attention along with it. The Punk was followed by the Fury last year. For such statement pieces, a brand need a worthy companion. Freida Pinto was appointed as brand ambassador of Audemars Piguet in 2015. She is an Indian actor (played in Slumdog Millionaire for instance), model and one of the global faces of Plan International’s “Because I am a Girl” – a campaign that promotes gender equality. Freida shows her rebel side with the high jewellery watches here. At SIHH 2017 Diamond Outrage dominated the stage with two versions. The first is entirely covered with brilliant-cut snow-set diamonds with invisible-set baguette-cut diamonds on the spikes. The other is set with blue sapphires in different hues. The spikes (their sizes range from 29.30mm to 40mm) evoke the icicles of the Swiss winter. 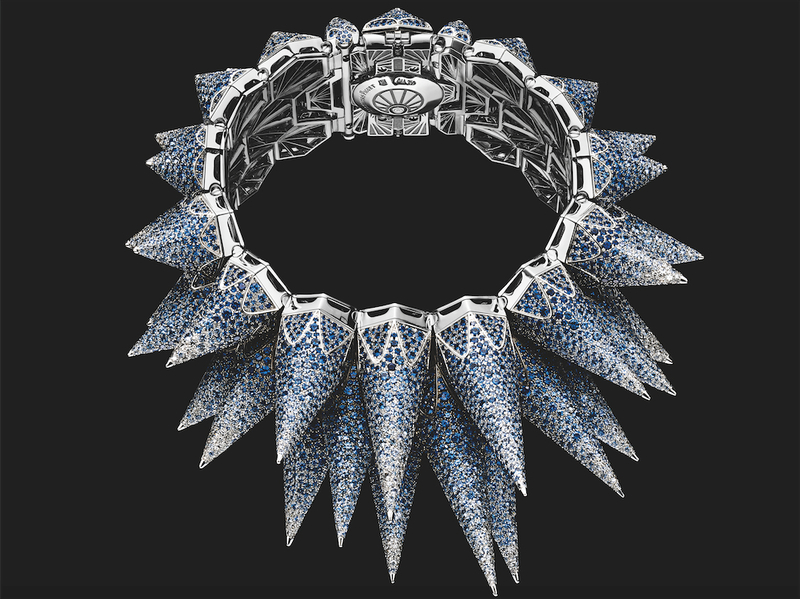 The ultimate accessory for any cool Ice Queen. 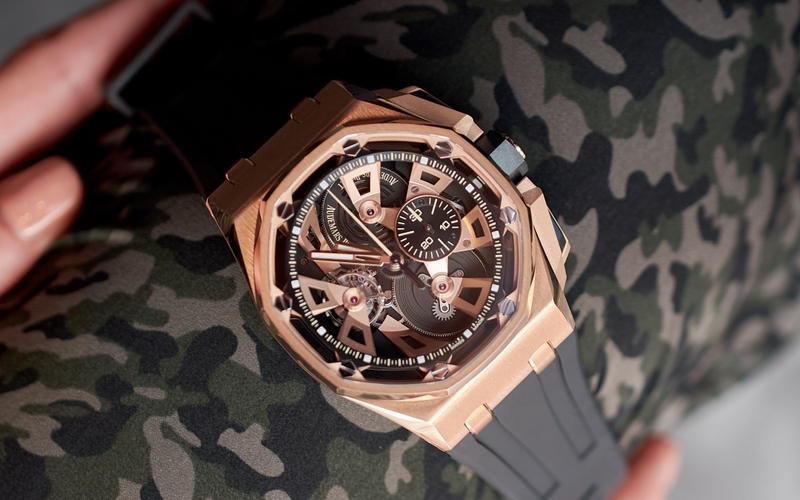 CODE 11.59 by Audemars Piguet Challenge, Own, Dare, Evolve - Audemars Piguet kicked off their largest product launch since the seventies at the SIHH 2019. Representing the last minute of the wait before the day of a new challenge, CODE 11.59 brings a formerly unseen shape and anticipated movements into the AP portfolio. We looked behind the collection.